Room Decor for Kids | Breezy Mama Breezy Mama - Expert parenting advice, celebrity interviews, product reviews for kids, moms and babies and more! It all started when I spotted this bicycle at my local bike shop–cupcakes and elephants on a bike?!? How cute is that? So it got me thinking–how many other adorable products, adorned with elephants are out there? And how fantastic would it be too decorate a child’s room with an elephant motif? So I started to look–and I looked and looked because there are so many things, all cuter than the last. And, the best thing about an elephant? It swings both ways–so if you’re looking to decorate a nursery, and you don’t know what you’re having, invite the elephant in! No wonder this elephant is called “lucky” — doesn’t he seem like the happiest guy around? Surrounded by bright colors on that gorgeous shade of blue, this wall art is bound to make any room pop. 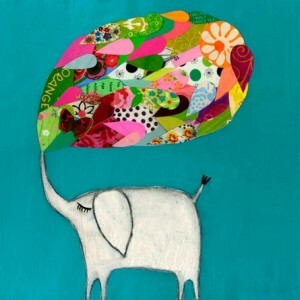 To order Lucky Elephant in Turquoise Canvas Reproduction by Oopsy Daisy, $119.00, click here. Love the brightness of this green contrasted with the brown. Perfect for a modern nursery. The best thing–order this and you’re done–remember that crib bumpers are a no-no these days! (To read Breezy Mama‘s post on what the new recommendations are for crib safety, click here.) This set is sold on Etsy–if you’re new to Etsy, make sure to read Maria’s How To Buy on Etsy Shop tips by clicking here. 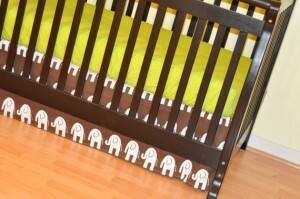 To order the Lime Green Sheet and Elephant Crib Skirt, $105.00, click here. What can be more soothing that staring at these gorgeous elephants? In a muted grey, this elephant mobile is sure to quiet down little ones before they drift off to sleep. 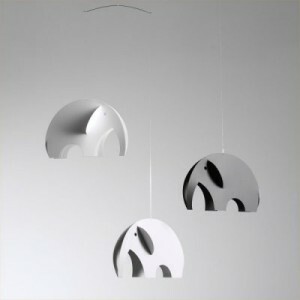 To order the Elephants Mobile in Gray by Flensted Mobiles, $41.50, click here. 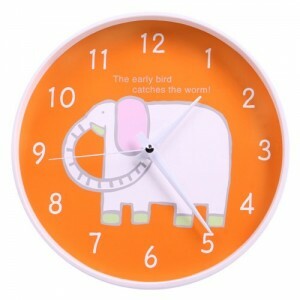 Never lose track of time with this clock hanging in your child’s room. Bursting with color, it’s sure to bring a smile to anyone’s face–especially when it reads “nap time.” To order the White Elephant Non-Ticking Silent Wall Clock, $22.18, click here. Have you ever seen a child more entertained than when look at themselves? Hang this mirror at their level and watch them giggle and twirl. If you have a baby, what could be a better motivator for tummy time? 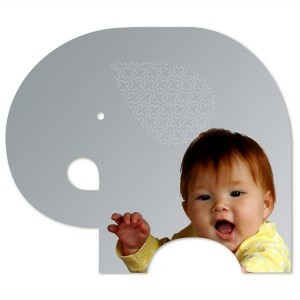 To order the Elephant Acrylic Mirror by Petit Collage, $36.00, click here. If you’re looking for just a “taste” of elephant, this blanket will do the trick. Featuring a giraffe and elephant facing off with love, it will bring a pitter-patter to your heart. To order the Opposites Attract (featuring a giraffe and elephant) Blanket, $56.00, click here. No room is complete without a night light to ward away the lions and tigers. This one by Kinderglo is rechargeable, portable, BPA and lead free, soft to the touch, and perfectly safe for kids to carry around or cuddle with in bed. 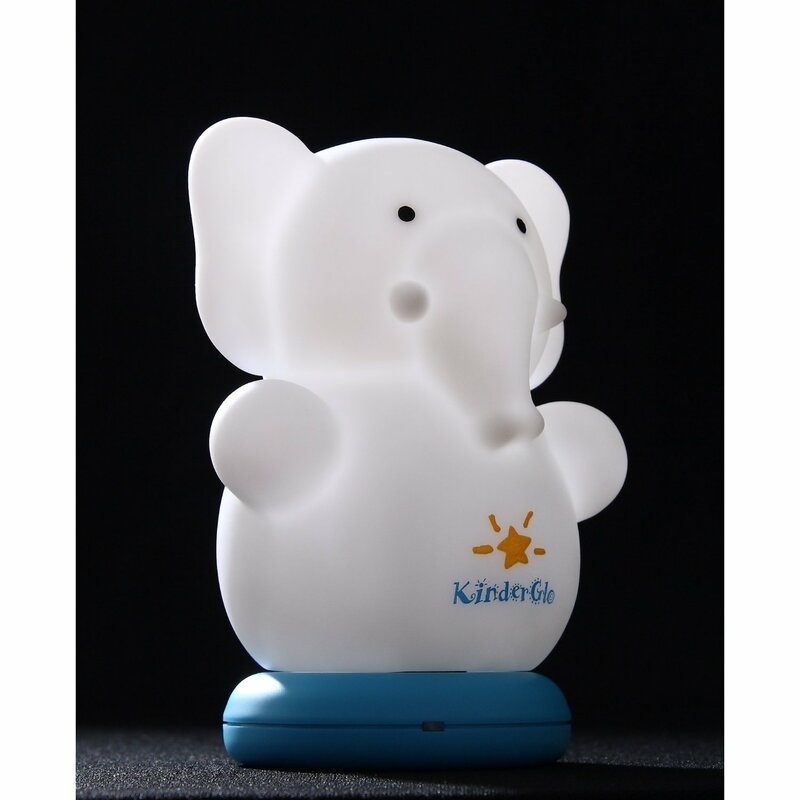 To order the Kinderglo Portable Fun and Safe Rechargeable Night Light, $24.95, click here. I love elephants! You have found me the perfect elephant nightlight for my little nephew. Thank you BreezyMama! That elephant is so cute! I believe in some cultures they are considered good luck if their trunk is lifted up 🙂 Very adorable, thanks for sharing!